Requires the ProPhoto 7 Wordpress Theme. 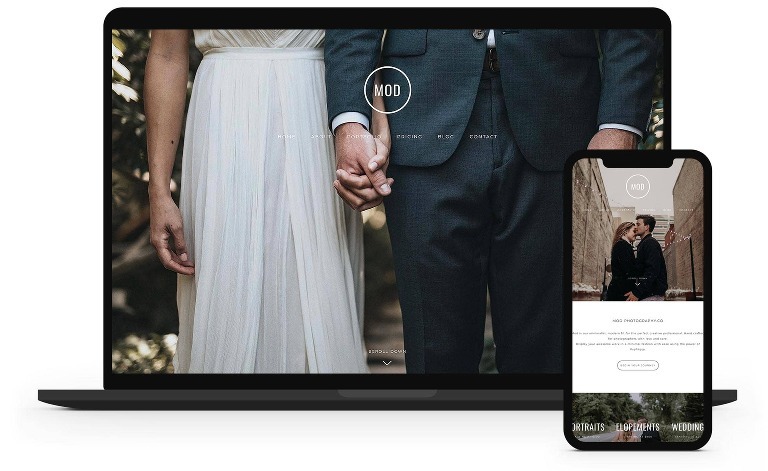 Mod is a responsive, content driven minimal design. We put all our focus into making this design content featured, with every page meticulously designed to look great across all manner of devices and screens. Mod includes only a couple of photoshop files so it's not necessary to use, and the included pages to get started with customizing it to your every need! This design requires the ProPhoto 7 Theme to work. First time users click the link to get $10.00 off ProPhoto. ProPhoto designs are 100% responsive and fully supports video. ProPhoto is built on an easy to use, front end drag and drop builder. ProPhoto designs do not require any photoshop or external editing programs to use. We have support to help you get started with your design for free. We also offer services for the person who wants it done for them. Design updates are free for the version of ProPhoto you're on. This design requires the Wordpress Pro Photo theme. Discover the perfect theme for your needs and have all your questions answered. Fall in love with a design that is perfect just for you. Browse the shop and find your perfect match. Now that you have everything, customize, and go live! Not the DIY type? Hire us!